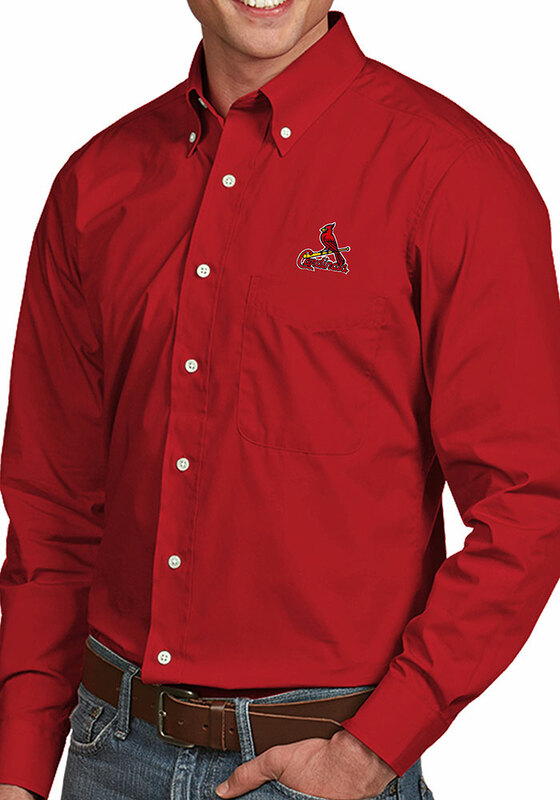 Add some Cardinals spirit to your workwear with this St Louis Cardinals Dress Shirt! Show your team pride with the Red Dynasty Long Sleeve Long Sleeve Button Down Shirt. This Long Sleeve Dress Shirt features a 55% cotton/45% polyester solid yarn dye button down long sleeve woven dress shirt with self fabric collar, cuffs & chest pocket, button sleeves and tail bottom. Antigua branding on right sleeve.. The STL Cardinals Long Sleeve Button Down Shirt features great details for comfort and style.